“well organized … and very positive in his approach” Karen H.
Accounting Software Selection & Implementation – There are many accounting software options to provide the financial reports you need to effectively run a business and each has its pros and cons. We can analyze your business’ current technology, future business plans, and emerging needs to identify and implement a software solution that is flexible enough to grow and change with your business. Our experience shows that QuickBooks Online is an excellent choice for many businesses. It is easy to use, even for non-accountants; inexpensive, secure, and very flexible (see other benefits and comparisons of accounting software here). In addition, it has the largest base of users of any accounting package for growing businesses so there are many potential employees who are experienced in its use. Bookkeeping Services – Whether you lack accounting staff or just need analytic services, we can help. We work closely with bookkeeping firms to offer a comprehensive solution to meeting your accounting and reporting needs. As your business grows and your needs change, we can also guide your planning efforts to ensure your accounting and financial systems keep pace with them. Our goals are to ensure the smooth operation of the financial side of your business, to reduce related stress, and to ensure the accuracy of all of your financial reports and records. We believe in making financial statements simple and easy to understand. This includes you, financial analysts, bankers, and partners. Having third party preparation and professional review of your financial reports will improve business operations and bottom-line results. In addition, independent financial reports increase your credibility when dealing with banks, investors, and partners. We can help in three ways depending on your needs and goals. Record the transactions – We can provide accounting and bookkeeping services that will allow you to focus on your business while leaving the financial and accounting services to us. You write the checks and make the bank deposits and we handle the rest. We maintain your bookkeeping and accounting records, balance your checkbook, and prepare financial statements. Record the adjustments – If you or your staff prefers to handle recording transactions, we can take responsibility for making general ledger adjustments for activity like depreciation and prepayments. These tasks are similar to what a general ledger accountant or financial controller does. In addition, we perform the analyses as presented below. Perform the analyses – Should you have the talent on board to handle all the general ledger adjustment responsibilities, we can perform the analytic review that a controller or chief financial officer would normally do. In this case, we analyze the current results, comparing them to both prior periods and budget. 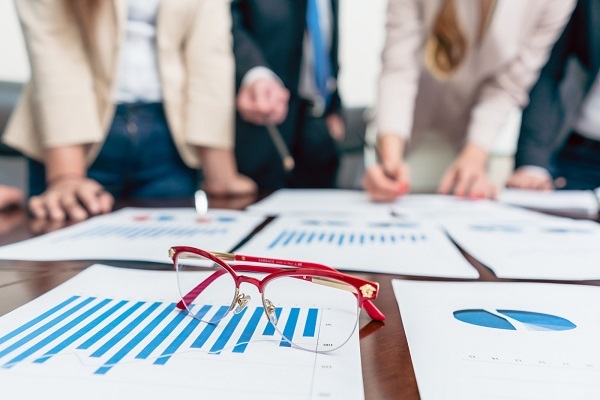 Financial Analysis – When a business is able to undertake strong financial analysis, it opens up new opportunities to improve planning and decision-making. Financial analysis provides the information to validate a course of action. Prospective analysis can show how situations may evolve under various scenarios, providing a new dimension to decision making. We are ready to provide this type of financial analysis to support the success of your business.